The Satoimo Root, otherwise known as Japanese Sweet Taro, is a peculiar looking vegetable that grows rampantly in Japan. This root crop is also the subject of a number of curious studies, as it supposedly provides a number of health benefits. 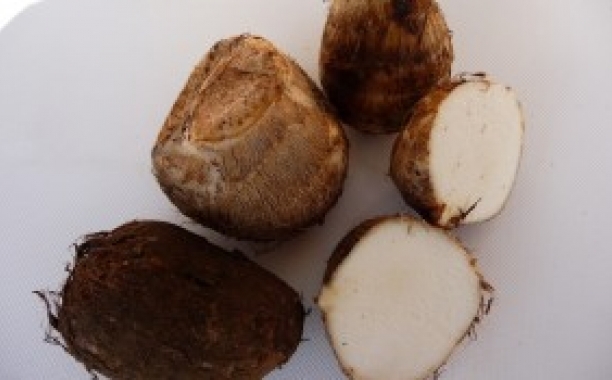 Those who are interested in this root crop should become aware of its potential merits, as well as other relevant facts about the Satoimo Root. The Satoimo root has a rough and dark exterior covered by fibrous hairs. It is quite similar to coconut, except for its irregular and sometimes elongated shape. The taste and texture of Taro is a cross between that of a potato and Okra. While it is high in starch, it also has a slimy texture that makes it slightly challenging to handle during preparation. This root crop is very common not only in Japan but also in most Southeast Asian countries such as Vietnam, Cambodia, and the Philippines. It is quite easy to plant and grow since it does not require much attention compared to rice, corn, and potatoes. Taro also grows throughout the year so it is a stable agricultural yield. The Japanese sweet taro contains a high concentration of Hyaluronic Acid, which is a necessary component in cell regeneration. This plant is often referred to as "nature's odd fountain of youth" due to its high HA content. This vegetable is highly recommended to people who need more fiber in their diet. Dietary fiber is necessary in order to promote better digestion and the effective removal of toxins and free radicals in the intestinal walls. 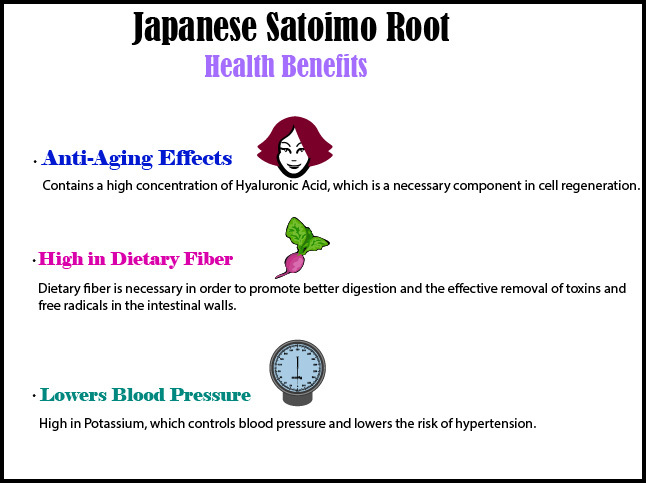 Satoimo root is high in Potassium, which controls blood pressure and lowers the risk of hypertension. This is highly beneficial to people who are advanced in years or are otherwise at a higher risk of developing hypertensive tendencies. Taro can be cooked in a number of different ways such as braising (in soy sauce, sugar and red ginger) and deep frying. It is also a very popular ingredient added to soups and noodle dishes. 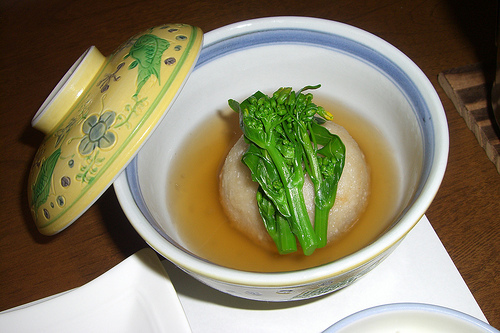 Satoimo is great for soup as it gives a nice body because of the starchiness. Takoyaki is a Japanese snack that is in the shape of little round balls.